Arrive at Cochin and check into hotel and Relax. 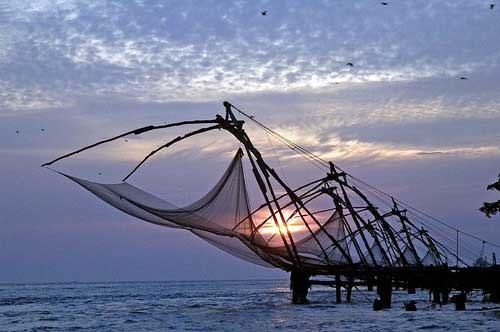 Evening go for the Local sightseeing of Cochin like Dutch Palace, Jewish Synagogue, Chinese Fishing Net. St. Franchises Church, Marine Drive and Back to the hotel and stay overnight. Proceed to Munnar (150 Kms Drive, 4 Hours Journey) and check into hotel and Relax. Day at leisure and stay overnight. Go for local sightseeing in and around Munnar like Mattupatty Dam, Echo Point, Tata Tea Plantation visit, Eravikulam National Park, Rajamalai and Back to the hotel and Stay Overnight. Proceed to Periyar Thekkady (125 Kms. Drive, 4 Hours Journey) and check into hotel and Relax. Evening by 1600 Hrs. go for the Wildlife Sanctuary Boating by boat safari (Extra Cost) and back to the hotel and stay overnight. Go for the Spice Plantation Visit, Garden Fresh Spice Shopping and proceed to Kumarakom and check into the hotel and Relax. Evening go for the Backwater Cruise in the Lush Green Villages of Kerala (optional) and back to the hotel and stay overnight. Proceed to Cochin and Back to Home (100 Kms. Drive, 2 ½ Hours Journey). All transfers & Sight Seeing by AC Vehicle. Not Valid during Diwali, X-Mas and New Year Period.